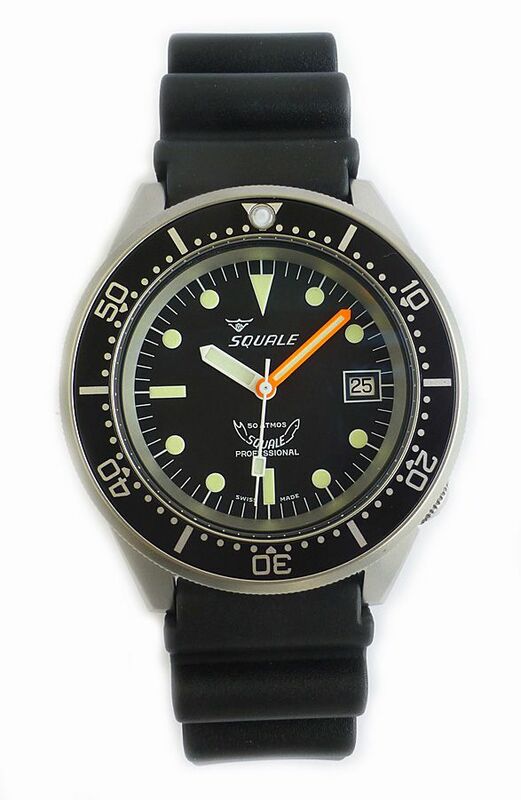 Brand new in box with factory guarantee, Squale 1521 steel wristwatch which is a 500 metre professional divers watch in stainless steel. 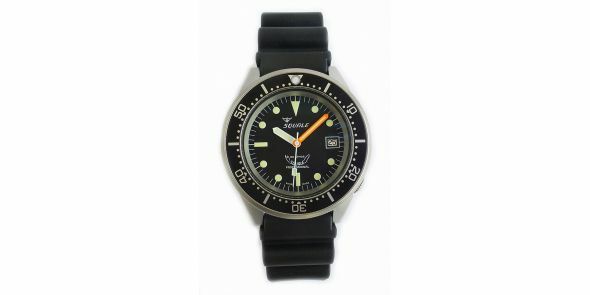 It is a truly professional divers wristwatch, but stylish enough to be worn for all occasions. 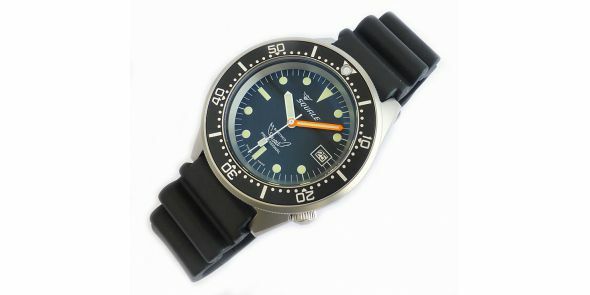 The 500 mere divers watch is fully capable of living up to the most demanding of conditions. It is a large and substantial watch, which is extremely well engineered, well constructed and beautifully finished to make a tool watch a stylish watch as well. 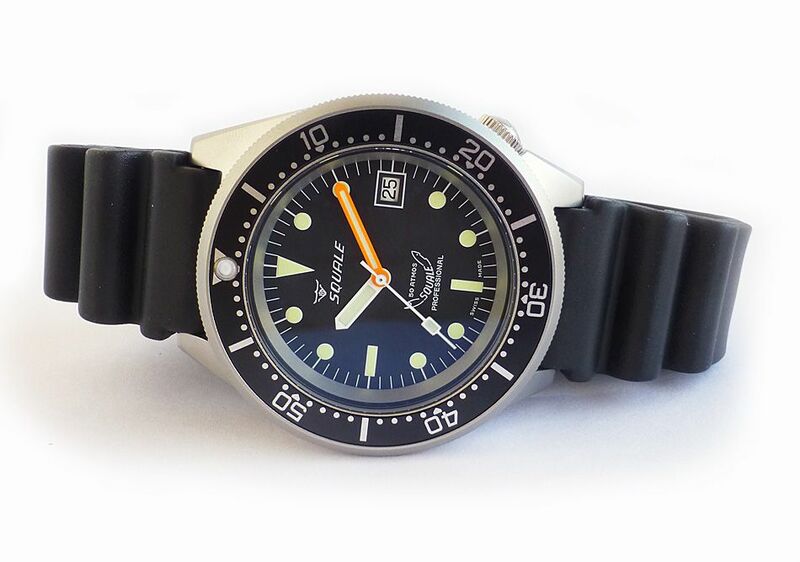 The case is made of 316L stainless steel, it’s a great watch for great challenges, the most professional of models. It is a technical watch from the first to the last wheel, indestructible as its reputation, practically perfect from construction, finish, to looks as well. The case is a handsome looking case in sandblasted steel finish, with thick and sturdy case and lugs, and crown positioned at the 4 position to prevent it from snagging. It has got a scratch resistant sapphire crystal, which is thick and sturdy, in addition it has a screw on case back and screw down crown to allow for the 500 metres water resistant. It has got a uni directional ratcheted rotating bezel, iterated to the full sixty minutes. 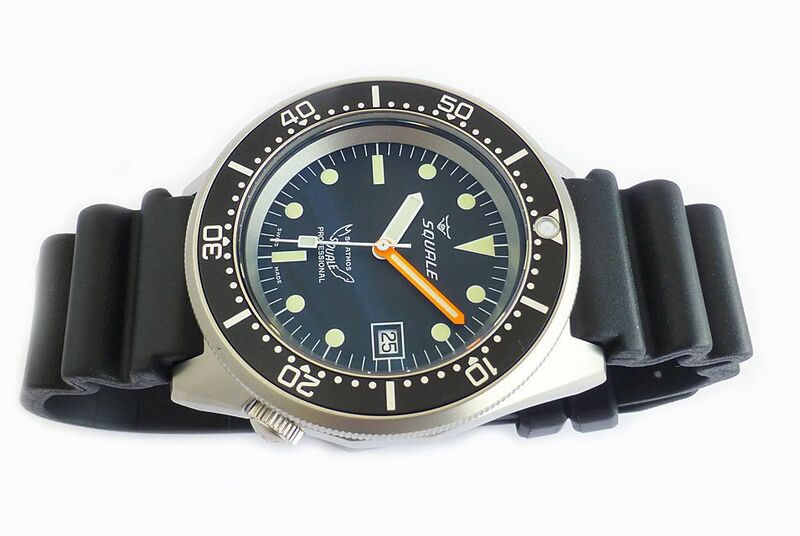 Practical and highly legible black dial with luminescent markers and date at the 3 position. 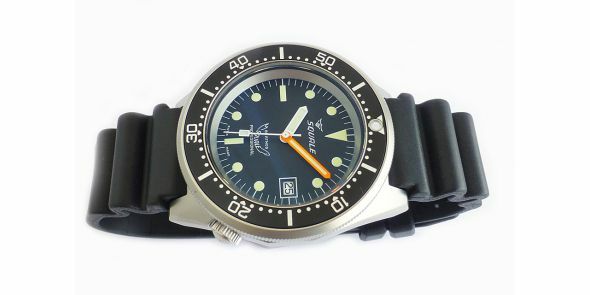 It has a central sweep second hand and sharply contrasting bright orange minute hand. The movement is an automatic winding Swiss made ETA 2824-2 movement. 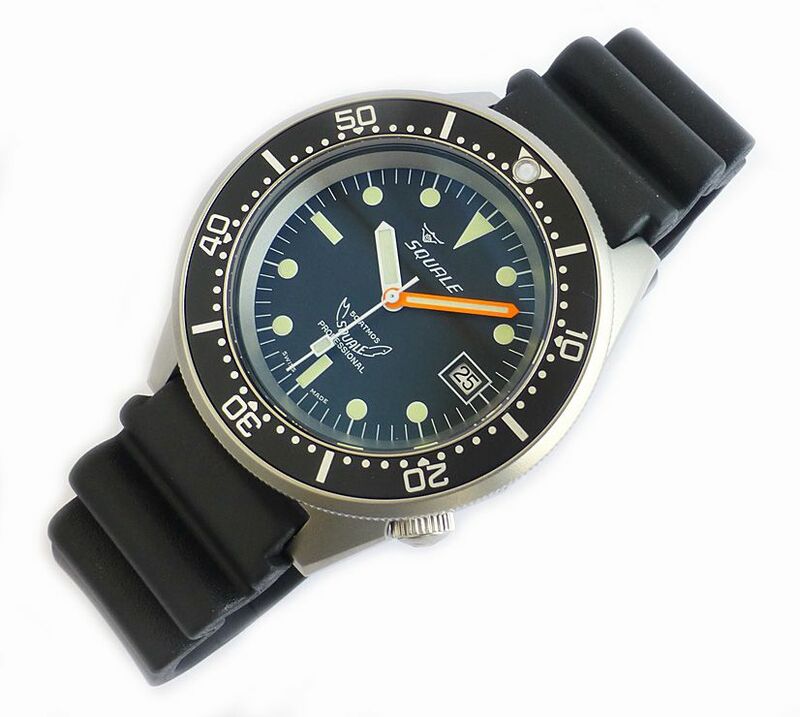 It comes on a black real rubber strap which is comfortable and soft, with signed pin buckle. 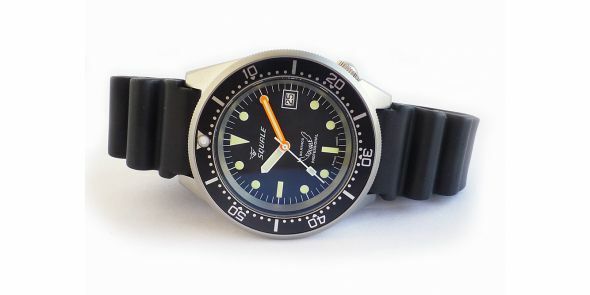 Dimensions are as follows Width is 42 mm excluding crown, 43 mm including crown and 48 mm lug to lug. Thickness is 13 mm.